What is the Abu Dhabi climate like? Between November and March, the average highs are around 26°C, while average low drops to around 15°C. Between April and October, the average high rises to 39°C (50°C in August) and average low drops to around 25°C at night. However, the humidity rises noticeably peaking at 87% in August/September. Average rainfall is low -at less than 6.5 cm annually; more than half of which occurs in December and January. What are the steps for a free zone and non-free zone residence permit? What are the various categories of licenses issued by Khalifa Port Free Trade Zone (KIZAD)? We issue three categories of licenses – Industrial, Trading and Services. What are the different types of business operations permitted in the free zone areas? All types of legitimate business operations are permitted. Please refer to Companies Registration Regulations and the Licensing Categories Decision document published by KIZAD. What are the various clusters in KIZAD? How can an investor sign up for land, warehouses, offices or other facilities in KIZAD? Business owners can log on to www.adports.ae or www.kizad.ae websites and complete the Industrial Project Application (IPA) or Logistics Project Application (LPA) forms. The Business Development team at Abu Dhabi Ports will contact you to process your application. Can I use any trade name to register my company? Yes. However, the use of name is subject to approval by the Abu Dhabi Department of Economic Development. Do I have to adopt Emiratisation in my recruitment? It is not mandatory. However, as a semi-government organization, we do encourage the inclusiveness. What are the current global rankings for Abu Dhabi / UAE to attract the investors in terms of doing business? What is the minimum/maximum free waiting period at Abu Dhabi Ports once cargo is unloaded before charges get levied? Value Added Tax or VAT was introduced in the UAE on 1 January 2018 and stands at 5 percent. Abu Dhabi Ports collects and accounts for the tax on behalf of the government. VAT is an indirect tax on the consumption or use of goods and services levied at each point of sale. It is used in more than 180 countries around the world. What is VAT law, and how can I find more details? A business must register for VAT- if its taxable supplies and imports exceeds mandatory registration thresholds. In addition, it is optional for businesses whose supplies and imports exceed voluntary registration thresholds. As a free zone company, is my company still liable to register for VAT? 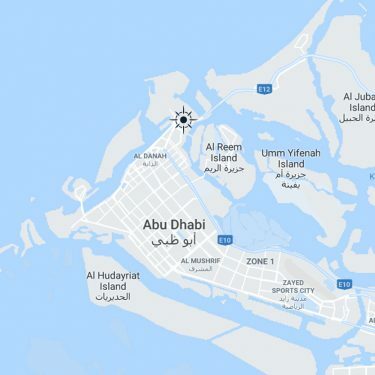 What is the TRN of Abu Dhabi Ports? Abu Dhabi Ports is registered as 100208828200003 – this is our group TRN number. Abu Dhabi Marine Services Co – Safeen L.L.C. Khalifa Industrial Zone Company L.L.C. Abu Dhabi Free Zone L.L.C.